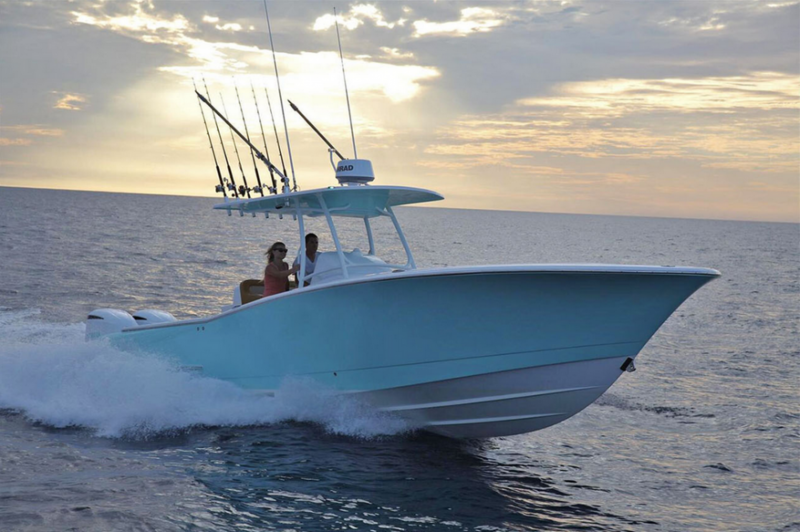 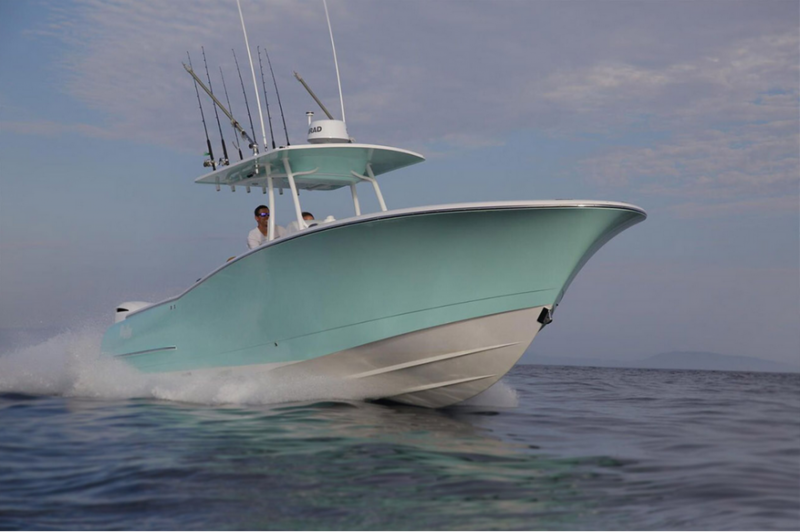 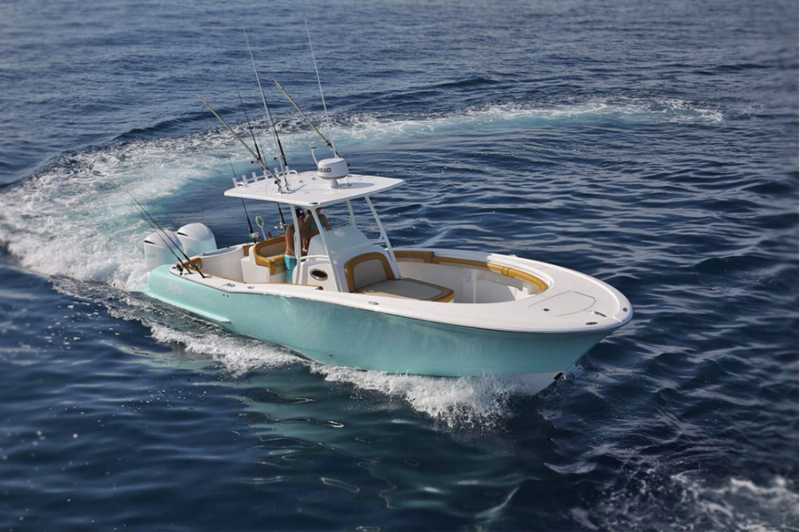 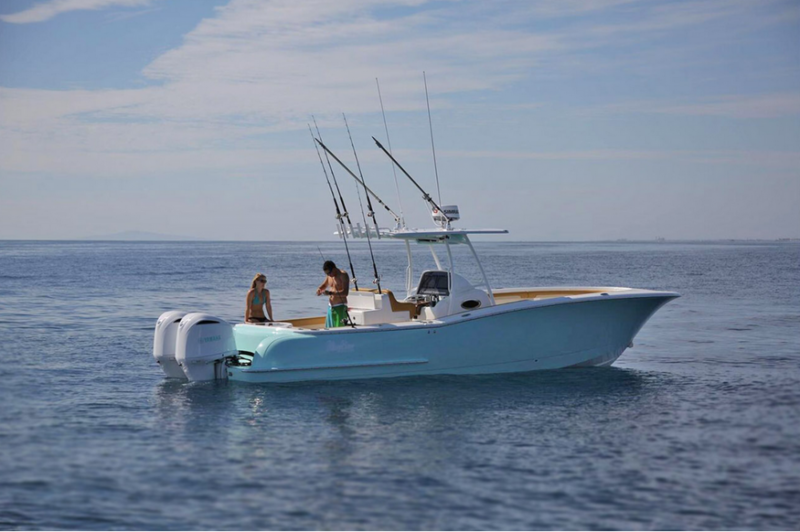 There are two primary configurations of the 33 Mag Bay, a shorter console version tailored to the diehard fisherman and a longer console version for those wishing to do more cruising. 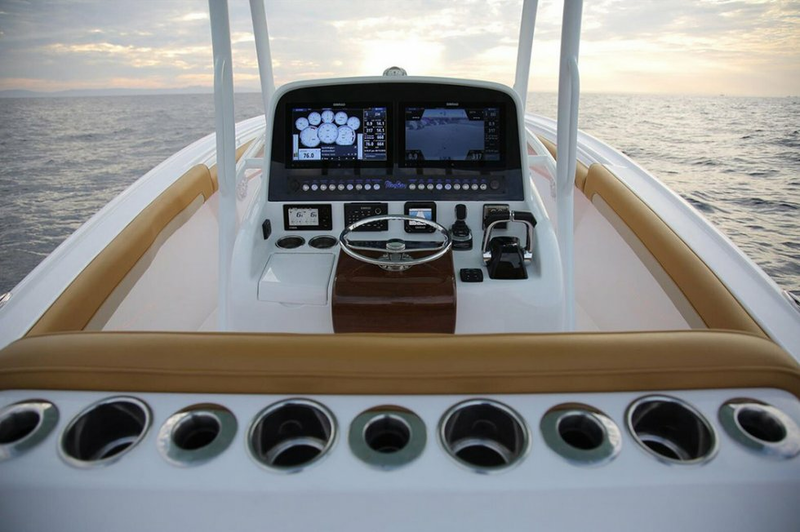 Of course, you have the ability to choose any console combination you would like to best suit your needs. 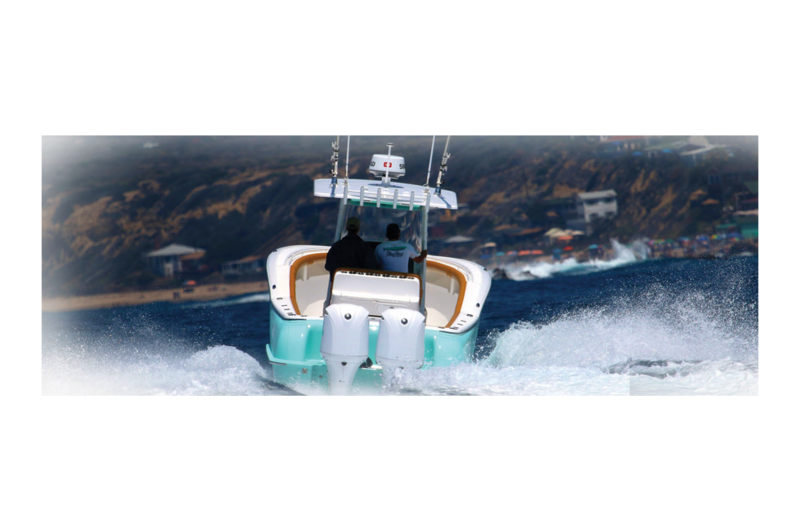 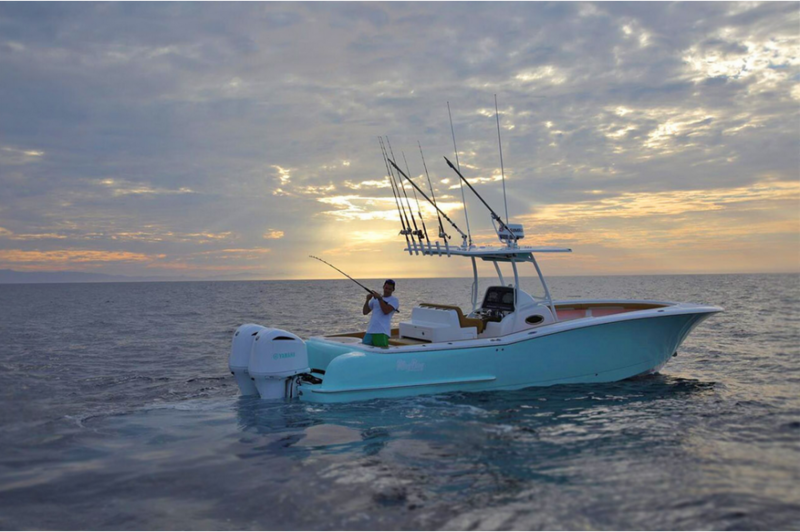 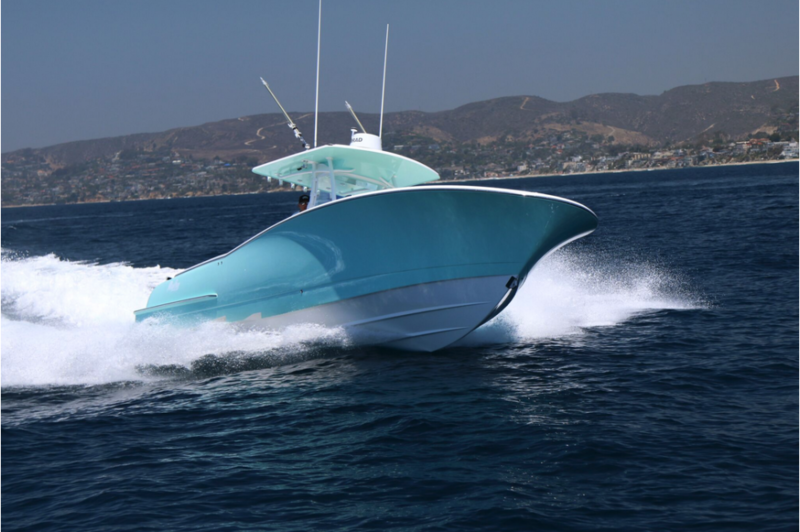 There are plenty of semi-custom options that can be ordered from the factory to make it your perfect boat. 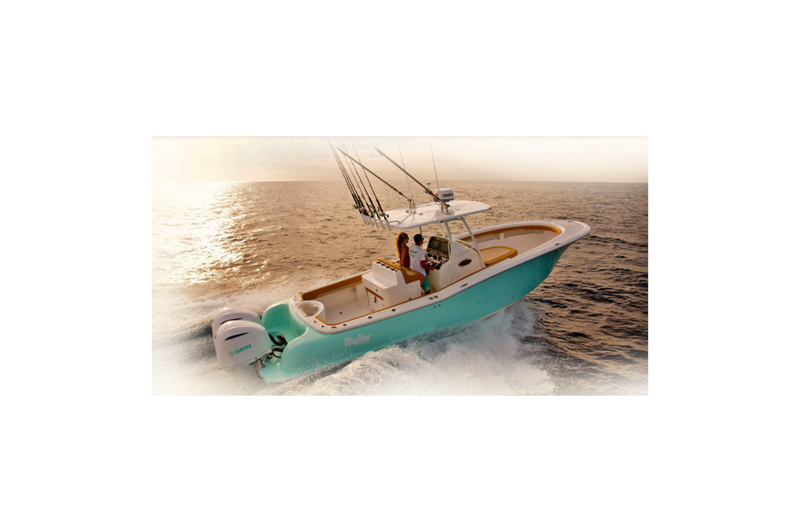 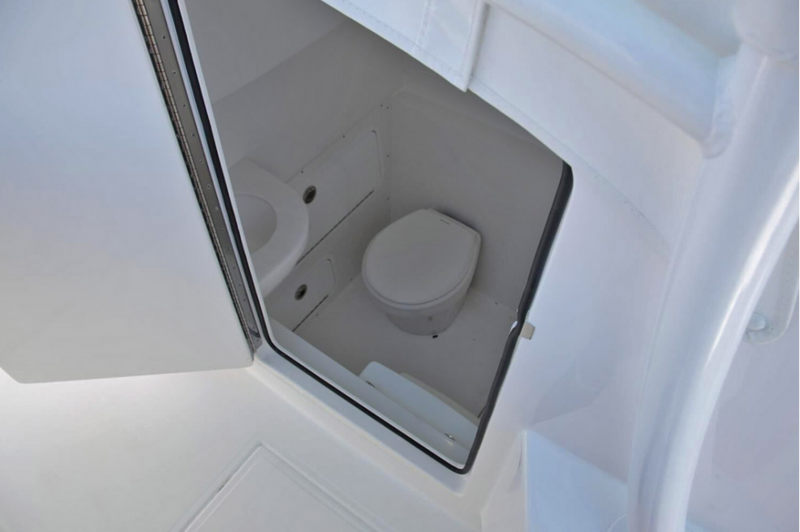 These new center console boats have a length of 33’ 6” and feature a roomy 10’ beam. 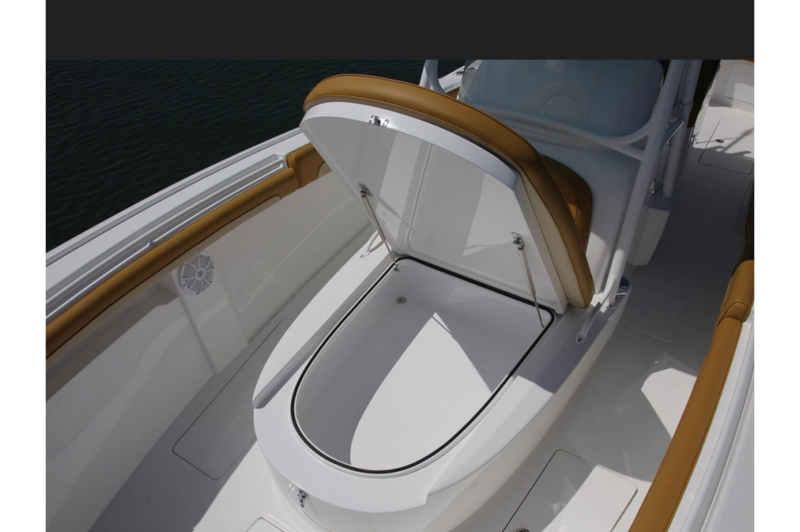 The deadrise at the transom is 22-degrees and the displacement is approximately 10,000-pounds. 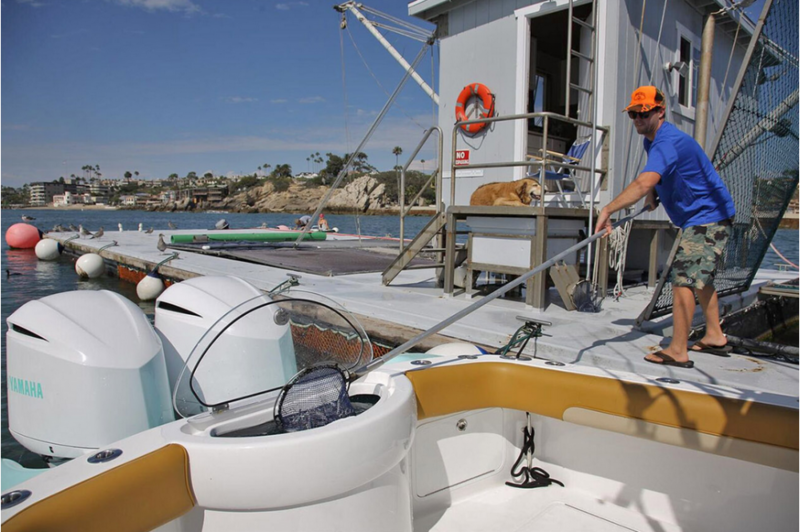 Fuel capacity of 338-gallons and a 38-gallon freshwater tank allows you to rinse off after a dive or wash off your fishing gear. 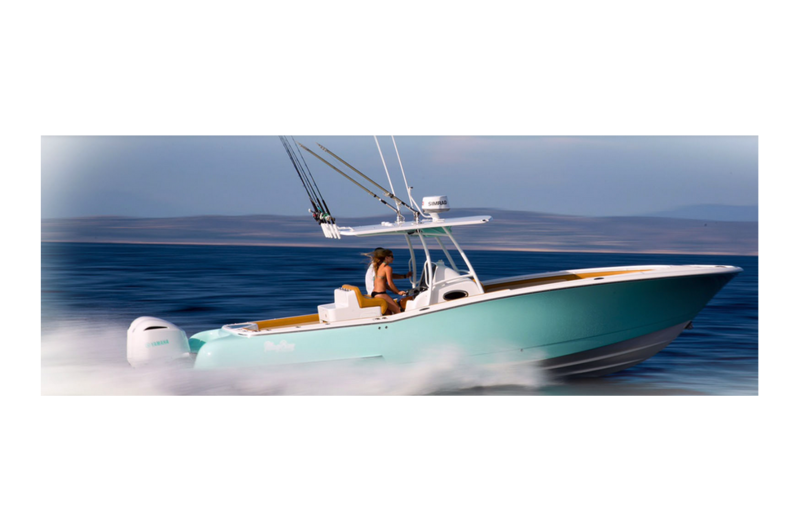 Insulated fish boxes, dry storage and pressurized livewells are all standard features on the Mag Bay. 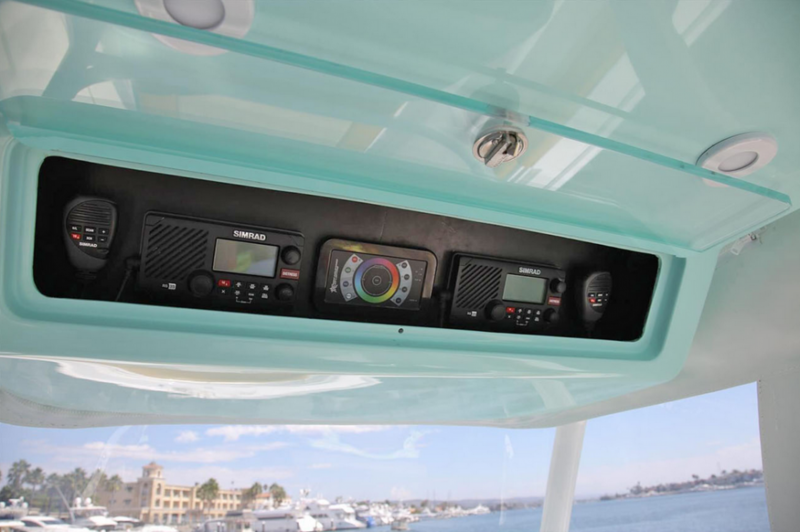 A customizable aluminum T-top with an integrated electronics box is standard. 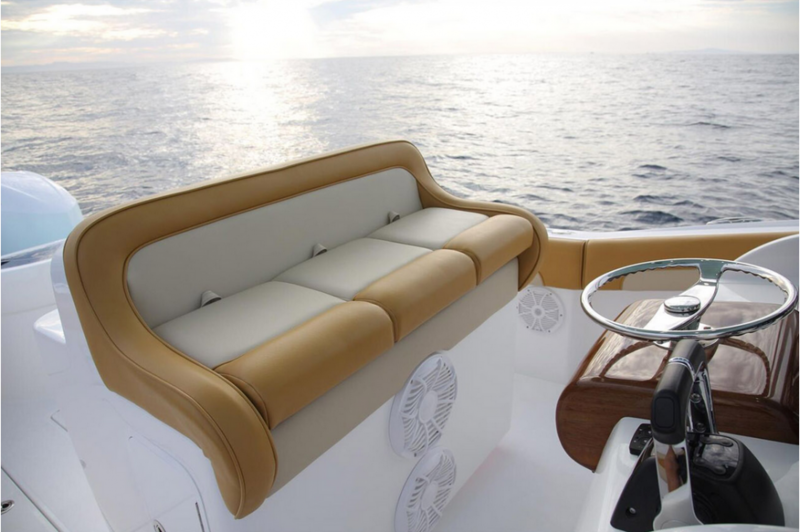 Stainless steel and powder-coated options are available.